Student devises optical device that could give us invisibility cloak | UNBELIEVABLE! We’ve all seen the films or read the books. Harry Potter has a magic “invisibility cloak” that allows him to perfectly camoflague himself and creep around un-noticed. It’s the work of fiction, but a student at St. Andrews University has taken it one step closer to becoming a reality. 22-year-old undergraduate Janos Perczel has devised a way of slowing down light as it travels around an object, which creates an optical device called an “invisibility sphere”. This overcomes a major hurdle that had previously prevented the progress of inventing invisibility cloaks. It could now lead to such a cloak that works against backgrounds of a variety of ever-changing colours and remains unseen. 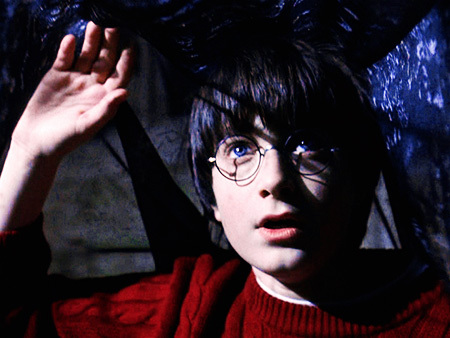 The makers of the Harry Potter movies must be frustrated that a real-life invisibility cloak wasn’t invented as they were making the films. It would have saved an awful lot of time and effort on special effects. Posted on August 10, 2011, in Physics and tagged Harry Potter, Invisibility, Invisibility Cloak, Janos Perczel, Magic, Optics. Bookmark the permalink. Leave a comment.